I’m a high school teacher and golf coach in America and could use some advice if you’re willing to give it. I run a recreational golf program in the fall and a varsity team in the spring.. The fall program brings s huge range of ability. Some of my varsity players come out and I have others who are flat out beginners. I have arranged to have a few lessons with pros over the next few weeks, but much of the coaching comes down to my untrained eye observing and offering advice that I have come across in my on swing evolution. This fine for the players who are ok, but shoot offline or have a massive slice etc. Drills for those are easy to come by. The beginners are a trickier lot to work with. As I watch, I am taken aback by appears to be a total lack of body sense or athletic ability. Grips, stance and such hardly come into the equation because it is much as you described the girl you worked with. I have one girl who was with me last fall and has returned and still simply cannot make contact with the ball. She has amazing tenacity, but the club rarely strikes the ball. I could go on, but I’ll leave it there and ask you if you have any advice. I can try the sponge ‘drill’, but if you were willing I could use more tips. Jon left the comments over at this post. It’s one of my favourite golf lessons I’ve written about and has received some great feedback. So here’s some more info on coaching using a story from my past to get the point across. My boss wasn’t too happy with my coaching ideas (he sat in on a presentation I gave my golf team one time) and came out with this beauty of a comment to rock my confidence and enthusiasm, “hope you’re not going to be teaching that crap you were talking about a few years ago…. teach from this manual (now holding up the traditional golf “bible”) and don’t try and be different”. Wow! Welcome to the wonderful world of professional golf. All this would have been fine except the “traditional” methods were not working for me (had failed me pretty badly). I wasn’t about to teach others in a way that had failed me – I wanted to actually help people and let them know what I had learned. Also, doing what everyone else was doing is kinda boring – I was up for the challenge and not about to back down (read: I’m a stubborn bugger). My first chance to shine was during the annual kids and grand-kids school holiday clinic. A bunch of the members brought down their little ones for some coaching and fun – I suspect many of the members were happy to have some childminding while they hit balls or visited the bar. My boss always took the full swing coaching and the assistant was given the short game area. I was assigned to the putting green which suited me just fine. The kids were broken up to thirds and would spend 20 minutes with each of us and then move on. My two colleagues pretty much grabbed a heap of balls and headed out to their respective areas. But not me. I hunted around the back of the pro-shop for some things that would aide me. Here’s a brief list of the things I managed to find. There was no stopping me. I pretty much took anything I could find that would make this an interesting experience for both me and the students. I also grabbed a heap of lollies and chocolate that would help encourage, focus and motivate the kids to perform (I paid for these items out of my own pocket but made sure I applied my sizable staff discount. I also took enough so each child would receive something). The kids had a ball. Instead of been told how to stand, hold and swing (like they other kids were being told by the pro and the assistant) the putting green was set-up for fun. Kids were putting through hoops, over ramps and at strange objects. I had complete control as each child waited patiently in line for their turn. There where cheers and lots of encouragement. The skills were easy enough for a high success rate and there was little emphasis on performance – it was more about enjoyment. The whole thing was a success and I remember three things that solidified my ideas and proved that I was on the right path. 1. When the hour long session was finished, almost every kid ran to the putting green to have another go at the putting course. There weren’t too many kids hanging around the practice fairway wanting to hit balls. Most left right away and headed towards me. It could have been the lollies that I had handed out, but I’d like to think the session I had organised for them made it fun and they wanted to keep playing. 2. One of Australia’s best ever players had his two Grandchildren there. I could tell by the look he gave me that I had done well – his Granddaughter was yelling, “Grandad, I won, I won. I putted the ball into the hole!”. Many of the other parents said I had done a great job and asked me if I was available for childminding duties after hours. I was like the pied piper with many of the children following me, asking for chocolate and high fives. 3. My boss took me aside later in the day and told me I ruined things for him and the assistant. I’m not kidding. He thought because I made the putting so much fun that he wasn’t able to get their attention long enough to “teach” them how to play golf. He was such a dickhead and it’s no surprise I didn’t last long. I also volunteered to run the chipping or driving range at the next clinic but that request fell on deaf ears. I also remember the putting green was like a bomb site. There were putters, balls, rope, towels and lolly wrappers all over the place. I’ll give you three guesses whose job it was to clean up. At the risk of repeating myself here are some key guidelines about coaching beginners. It’s not about you. This doesn’t mean you should bombard the pupil with too many instructions. Keep it simple so they can understand what it is you want them to do. Props can help you. Especially if you can use them in a way that aids learning without them really knowing. Break some rules. This is related to FUN but don’t make it so formal that it’s like a high school chemistry class. Think outside the box and you’ll do way better. It will be more enjoyable for all. I really appreciate the time you took on this and will take it to heart. In the spring when I coach the competitive team, I work with a very accomplished amateur golfer that reminds me of you. I have joked to him that he is like a gameshow host at practices. He is always making up competitions and pulling prizes out of his bag. You would really like him (as do I). I will do my best to get creative and take your advice to heart. The fun is so easy for those hitting it straight and long. Getting the girl who CANNOT make contact with the ball to crack a smile is the tough part. This is a good reminder that when this golf season ends in two months, I really want her to remember the fun she had and not simply look at what she couldn’t do. There is also a great chance that if I can get her to relax and have fun, some of the other things will fall into place. Jon: LOL re the chemistry class. My chemistry teacher was a real nightmare and that was the first subject that came to mind. I admire anyone that is not afraid to buck the system – too many take golf too seriously and it just doesn’t help that much. It does sound like the good player and I would get along well. 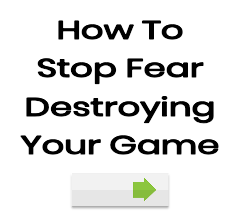 If a golfer is really struggling with what you are telling them you need to change the game. The foam block is a good start or you could try putting or chipping too. Other things you can do – bigger ball, change clubs, change the objective (hit the ball rather than getting it airborne). Lukey, that’s such terrible language. I visited many sites however the audio feature for audio songs existing at this site is in fact marvelous. phone on silent and pay attention to maintenance.